April 2017, I had my first brain MRI. The technician said, “Welcome to your new norm,” as she strapped me onto the bed of the machine. Her comment stunned me. I tried to pass it off. But like a pesky fly buzzing around my head, that comment tormented me for the past year and a half. This can’t be my new norm. I refuse to accept it. I have better things to do, a life to live without all these annoying tests. It doesn’t matter how much I argue. My old norm has gone. The new norm is here. As you read this, I’m lying on another table at another medical facility. My CT scan from two weeks ago revealed a few new spots on my right lung. Yep, my concerns were validated. And here I am. Tomorrow, I go for a lung biopsy. My oncologist said not to jump to conclusions. He’ll give us the results and the plans on September 10th. Meanwhile, we wait. I’m trying very hard to stay focused, to trust, to wait, to pray. I find it much easier to wait on the Lord than to wait on a doctor’s report. But there isn’t anything else I can do. Just go along with the suggested tests and pray. And I’m working on total surrender, not to the disease, but to the Lord. I know He can heal me immediately. I know that because the other night, I felt the Lord’s hand on my shoulder and the pain subside. I’d been having pain in my shoulder for quite some time. I assume it was arthritis acting up. It doesn’t matter. I prayed in Jesus’ name for the pain to let up. And it did. I have slept pain-free for the past two nights. Praise the Lord. But healing my cancer might not be His best plan for me or for those He has for me to encourage. Jesus said hardships will come. We shouldn’t be surprised when they do. The Father has purpose in them. Hardships teach us things about God and about ourselves we wouldn’t otherwise learn. They, also, give us opportunity to reach out to others in ways we couldn’t do without difficult experiences of our own. These are dark times. But we shouldn’t fear the dark. We should be thankful for the opportunity to let our lights shine. He has turned my thoughts concerning hardships around. He has taught me to trust Him. He has kept my mind steadfast and in perfect peace. How about you? What are your hardships teaching you? Caterpillars inch their way through their existence, gorge themselves on foliage. It’s all they know. They’re content with life as they know it. They have no clue there is a better way, a better form of living awaiting them. All they can perceive is they most indulge in the things surrounding them, and then, they spin a cocoon. To them, this entrapment is death. They wake up a changed creature in a new world where they have wings to fly. Like a caterpillar, we seek the pleasures of this world, indulging ourselves in all sorts of delights to satisfy our human cravings. We can’t help ourselves any more than caterpillars can keep themselves from gorging on leaves. It’s caterpillar nature. And seeking to satisfy our own desires is human nature. Many people never look beyond this world. They have a caterpillar mindset. This is all there is. Enjoy the lusts of your hearts while you can for tomorrow you die. But those of us who know Jesus have a different mindset. He has created a new creature in us. We look at things anew. Our existence no longer consists of just what this world has to offer. Although we still enjoy and embrace much of the wonders of the world, they are no longer our main focus. We know there is something much grander in store for us. In a sense, when we submit to Christ, He wraps us in a cocoon. In whom [Christ] ye also trusted, after that ye heard the word of truth, the gospel of your salvation: in whom also after that ye believed, ye were sealed with that holy Spirit of promise (Ephesians 1:13), Now we consider our new life on earth our cocoon existence. We have put of the old and put on the new. We are sealed in the Holy Spirit. 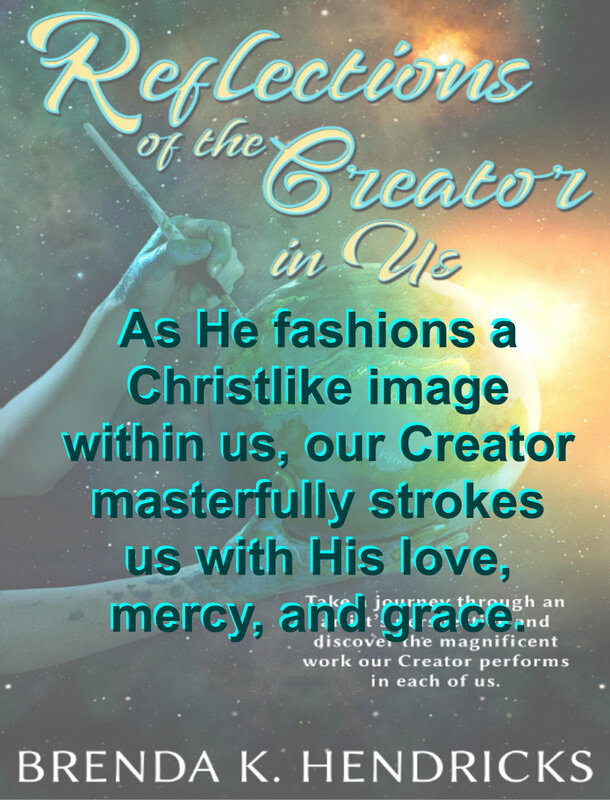 God is creating the image of Christ in us as we live out our lives. We don’t know what we will be when we break free from this entrapment. But we do know we’ll be like Him. For our conversation is in heaven; from whence also we look for the Saviour, the Lord Jesus Christ: Who shall change our vile body, that it may be fashioned like unto his glorious body, according to the working whereby he is able even to subdue all things unto himself (Philippians 3:20-21). As He creates Christ’s image in us, He delights in His creation. He sees us differently than we see ourselves. 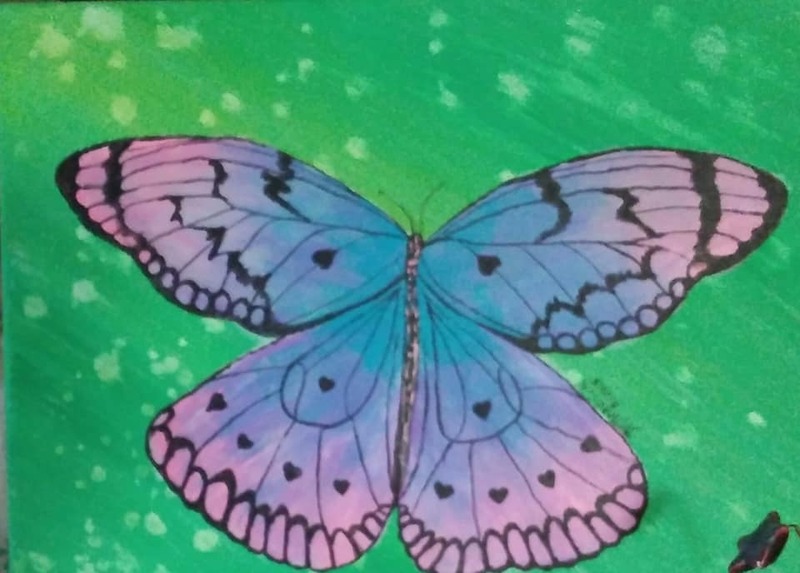 I developed an acronym, using the word butterfly, to remind you and me of how our Father sees us. B-beautiful. You are beautiful in God’s eyes because Jesus has cloaked you in His righteousness. Even the righteousness of God which is by faith of Jesus Christ unto all and upon all them that believe (Romans 3:22). U-unique. You are unique in God’s sight. He has created each of us with unique looks, abilities, and personalities. Just like butterflies, there are no two exactly alike. I will praise thee; for I am fearfully and wonderfully made: marvellous are thy works (Psalms 139:14). T-teachable. God never stops teaching life lessons. Therefore it’s safe to say you are teachable. We never stop learning. Lead me in thy truth, and teach me: for thou art the God of my salvation (Psalm 25:5). T-Talented. By God’s design you are talented. He has gifted you with special abilities, interests and desires to accomplish your purpose. Now there are diversities of gifts, but the same Spirit (1 Corinthians 12:4). E-empowered. The Holy Spirit has empowered you to fight the battles you face in this world and guarantees you the victory. That he would grant you, according to the riches of his glory, to be strengthened with might by his Spirit in the inner man (Ephesians 3:16). R-Radiant. When God looks at you, He sees the glory of Jesus. His Light shines in and through you. You radiate. We all, with open face beholding as in a glass the glory of the Lord, are changed into the same image from glory to glory, even as by the Spirit of the Lord (2 Corinthians 3:18). F-Flawless. God has forgiven you. In His eyes, you are flawless through the work of Jesus on the cross. As far as the east is from the west, so far hath he removed our transgressions from us (Psalm 103:12). L-Lowly. Yes, God sees you as a lowly, meek creature. One who needs provisions, protection, and lots of grace. But cheer up. Lowliness was one of Jesus’ earthly attributes (Mark 11:29). Though the LORD be high, yet hath he respect unto the lowly (Psalm 138:6). Y-You. God sees you in your little cocoon. He loves what He sees with all His heart. Yea, I have loved thee with an everlasting love: therefore with lovingkindness have I drawn thee (Jeremiah 31:3). How about you? How does God see you? 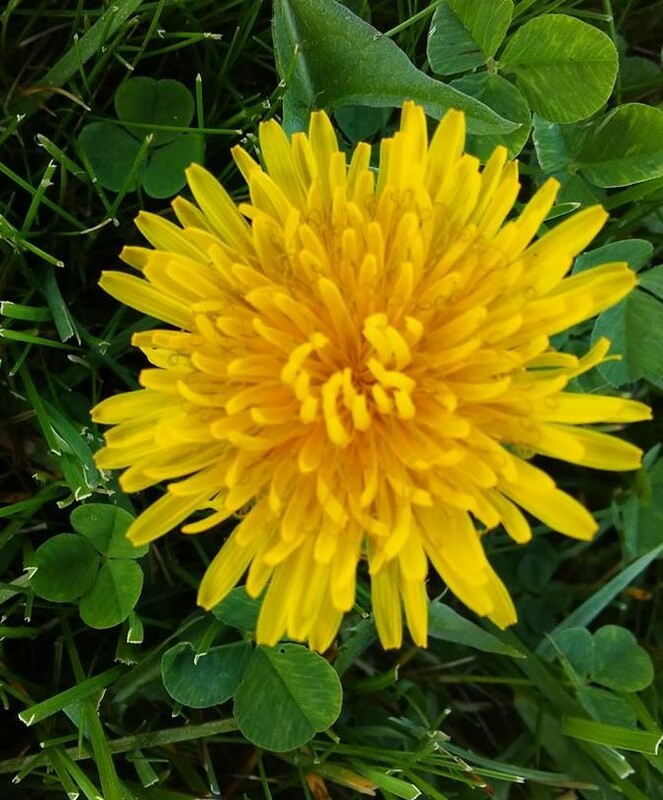 Some people consider dandelions an annoying weed that they most destroy at all costs. Our neighbor had been one of those, out every day with herbicides and garden tools killing the plant the moment it popped its tiny head above the ground’s surface. I, on the other hand, love dandelions. They mark spring with their bright yellow faces. But that’s not why I love them. They make good wine. But that’s not why I love them. Served with a hot bacon dressing, they make a fine side dish for ham. But that’s not why I love them. They also make mighty tasty jelly. But that’s not why I love them. I love dandelions because nothing puts a smile on a child’s face more than giving her mother a bouquet of freshly picked flowers. And what kind of flowers are readily available to children? Dandelions. 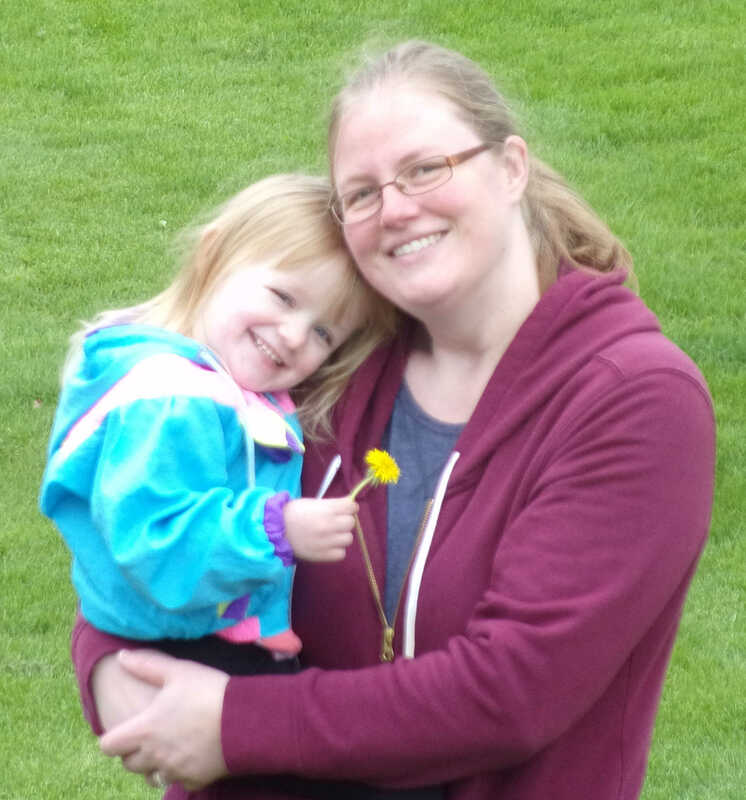 This week, my daughter and her two-year-old daughter ushered me down memory lane about thirty-five years, as I watched them pick dandelions. Little Lilly’s eyes sparkled with delight with each pluck of a stem just like her mother’s eyes sparkled when she and I picked dandelions so many years ago. She was so proud of her accomplishment. What a cherished memory. In many ways, dandelions remind me of me. Cancer has left me with the mark of suffering. I’m not as strong and vibrant as I had been. I don’t have the motivation to do the things I once did. I can’t even walk like I did. I lack stamina. To make matters worse, like a dandelion, my yellow hair has turned white and flighty. It may be difficult to find beauty and value in my current condition, but my Father loves me with an everlasting love. When He looks at me, His eyes sparkle with delight. He draws me near and holds me when I’m feeling down. Even when I’m feeling good, He’s there admiring me. Oh not because of anything I’ve done or how I look but because of who He is and what Jesus has done for and in me. When He looks on me, His glory shines over me. I’m precious in His sight. That’s why I love dandelions. How about you? What flower that speaks to your heart? I looked in a mirror and what did I see … a monkey looking back at me. Well, not a monkey exactly. But I do have to laugh at myself. Currently my hair sticks up in all directions. It seems to have a mind of its own and does as it pleases. I wonder how my husband can sit across from me at the table and not burst into laughter. Sometimes I see an older woman, whom I barely recognize. She’s homely and insecure. And I wonder how Gene can still find beauty in such a body. But he does. He says I have inner beauty my health can’t touch and that’s what he sees when he looks at me. I squint at the image in the mirror. I still can’t see the inner me. 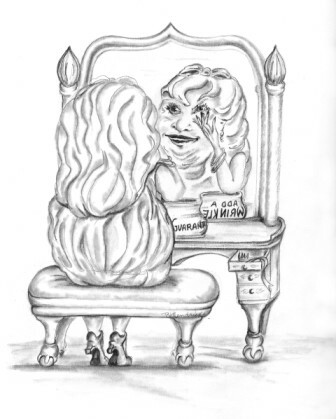 Why do I focus on my outward appearance when the ones I care most about don’t see me as I see myself? God says I’m wonderfully and fearfully made (Psalm 139:14). He also says I’m created in His image (Genesis 1:26). That’s pretty special. He says I’m worth dying for (Romans 5:8). That’s almost unbelievable. He says I’m His handiwork—His masterpiece—created to do good work (Ephesians 2:10). If God says all these good things and more about me, why should I question my appearance or demerit His creation in me? Where do the negative thoughts about my appearance come from? He [the devil] was a murderer from the beginning, not holding to the truth, for there is no truth in him. When he lies, he speaks his native language, for he is a liar and the father of lies (John 8:44). Satan wants to destroy believers. He attacks us physically by means of diseases, broken relationships, financial ruin and intellectually by means of the lies we tell ourselves. The Lord reminds us to not conform to this world, but to be transformed by the renewing of our minds (Romans 12:2). That verse continues with proving God’s will…His good and perfect will. His will is not for us to condemn or belittle ourselves. His will is for us to be confident, battle-ready servants of Christ. Now I have a choice to make. Do I believe the father of lies or Jesus Christ, who is Truth (John 14:6)? Of course, I choose truth. I have to work on renewing my mind to believe what God says about me and to see what Gene sees in me. How about you? What lies has the enemy told you in an attempt to destroy your confidence in who you are in our Risen Savior? 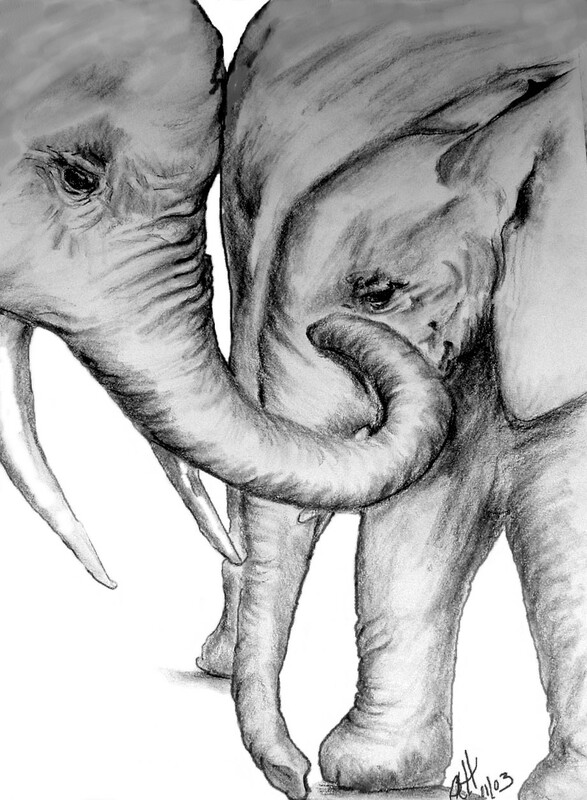 How do you carry each other’s burdens? The picture that comes to my mind is one picking up a heavy sack, tossing it over his/her shoulder, and carrying if for someone else. Or maybe Simon, the father of Alexander and Rufus, who was forced to carry Jesus’ cross (Mark 15:21). Or maybe simply praying for a friend in need. Sometimes, prayer is the best way to carry another’s burdens, especially when it comes to circumstances to great for us to change. But sometimes prayer becomes a type of cop-out. I believe in prayer. I also believe God wants us to be the hands, feet, shoulders, backs, arms of prayer. In other words, we are to personify prayer. There are things only God can fix or change. Never stop praying for help in those areas. But there are things He expects us to do for ourselves and for one another. Thus, He commands us to carry one another’s burdens. I’ve been a long-time fan of Christians organizing groups to go into disaster-stricken areas to help clean up and fix up. However, none of us has to leave our community to help clean, garden, mow grass, etc. I often thought and even commented that our churches ought to find the needs of our local communities, even people within our congregations and offer assistance. To my shame, I never followed up on it. Nevertheless, I was delighted to hear our church was moving forward in this type of ministry. How did I find out about it? The young mother who is heading it up contacted me on Facebook Messenger. Not with: Would you like to be on the committee to seek out people in need? Or would you like to help clean Sister Misfortunate’s house? Or would you be able to drive Brother Sicklee to a doctor’s appointment Tuesday? Nope, none of that. She asked me what the church could do for ME. Seriously? The Father has been teaching me all about humility for the past several months (see Humble Pie). Apparently, I still have some learning to do. Plus, I really want to see this new-to-our-church program be successful. So Gene and I agreed to be one of the first on the list to receive assistance. It’s very humbling to admit you can do the things you used to do like houseclean your kitchen or wash your own windows. But for now, I just can’t do it. I DO need help. And it’s not fair to expect Gene to do it all. They offered to help with the flower beds and houseclean my grooming shop as well. The most humbling part of the deal is seeing the names on the list of volunteers, including our pastor’s wife who also had a bout with cancer this fall. She had surgery and extensive radiation. I feel like I should be cleaning her house. I’m learning to humbly accept assistance when offered. I’m also learning to see the needs of others and offer my help when possible. How about you? What is God teaching you about humility? 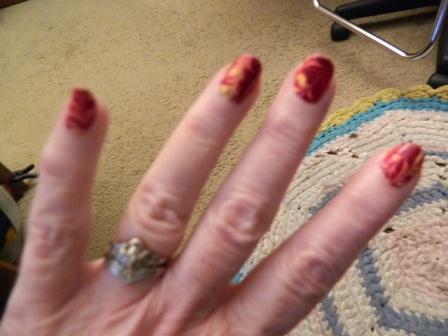 A few days ago, my two-year-old granddaughter fascinated herself with my hands for about 30 minutes. She bent my fingers ever-so gently this way and that. She flip-flopped my hands at the wrists and patty-caked them. She hid her hands in mine and pretended she didn’t know where they were. It delighted me to watch her. Hands have always fascinated me too. Just think about all the things we do with them. Feet, however, haven’t been so interesting to me. Yeah, I can pick things up with them, or at least I could, and wiggle my toes. Other than that, my feet carry me from here to there. Nowhere near as mesmerizing as my hands. I never really thought too much about my feet until now. Now, I realize they are my foundation, and my foundation currently feels as though it’s crumbling. Wiggling my toes has become a blessing. A couple of months ago I could barely move them. Like I said in a previous post, it’s the little things that become huge when you have gone through a crisis. Still, walking is difficult. I’m reminded many times a day how important my foundation is. Unlike my physical foundation, my spiritual foundation is built on the firm foundation that cannot crumble—Jesus Christ. The prophet Isaiah foretold of God’s plan to build a foundation using His Son. So this is what the Sovereign Lord says: “See, I lay a stone in Zion, a tested stone, a precious cornerstone for a sure foundation; the one who relies on it will never be stricken with panic” (Isaiah 28:16). I trust that promise as I rely on the Precious Cornerstone. I may be stricken with health issues. But I am not stricken with panic. I rest in the assurance that God is in control of every aspect of my life. That doesn’t mean I don’t have moments of despair when irrepressible tears flow. It means I’m damaged. I need help from the only one who is truly capable of restoring my physical foundation. It means my Firm Foundation is still intact and holds me up and will never let me fall. How about you? On what foundation does your faith rest? We take many little things for granted until we don’t have them … take eyelashes and eyebrows for example. Those little hairs that adorn our faces give us expression and, yes, beauty. I missed my lashes and brows to the point of drawing them on every day to avoid that blank look. I even took a class to learn how to apply eye makeup effectively so they wouldn’t look fake. 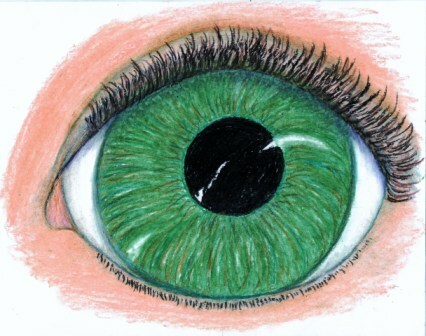 A week before Christmas, a friend mentioned my eyelashes, which I hadn’t noticed until then. I was all smiles Christmas Day when I applied mascara for the first time in six months. Vanity. Vanity. Perhaps. But think about this. Little things matter to God. He is so concerned about the details of our being that He even numbers the hairs on our heads. I always thought of the hairs on my scalp when I read that portion of Scripture. Now I realize my eyebrows, lashes, and even the forbidden chin hair are included in the hairs of my head. The knowledge of God numbering the hairs of my head flabbergasts me. Imagine, he knows every detail of our beings, not only how many hairs are on our heads, but how many cells in our bodies. He was aware of the cancer cells in my body and revealed them to the diagnostic doctor so He could demonstrate His sovereignty over all things concerning me. How about you? How has God shown His love to you?